Popular with people from old folks to kids, these festivals are aplenty this summer, not only in Tokyo, but also around Japan. In Tokyo alone, there are already a lot to choose from: take your pick by checking out our guide to Tokyo’s fireworks festivals. 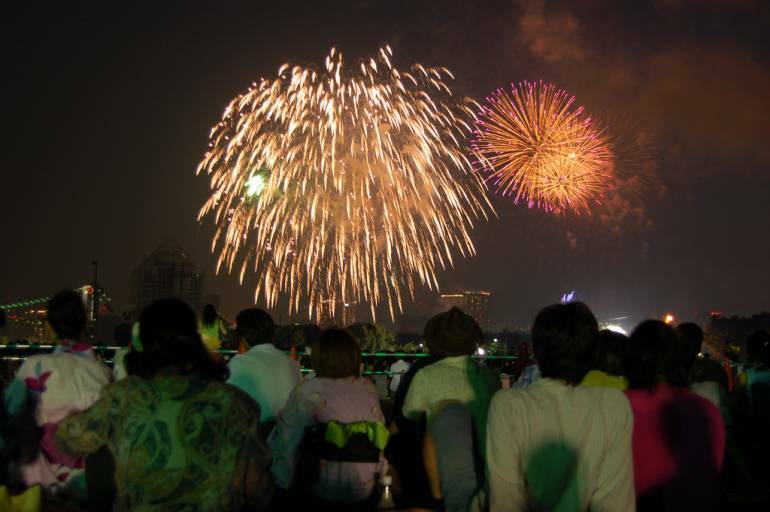 The Sumidagawa Fireworks Festival and Tokyo Bay Fireworks Festivals are the most popular, but if those are too crowded for your liking, there are smaller festivals as well. You may think, “What’s so special about fireworks?”, but most of these festivals are best described as pyromusicals: not only do they feature dazzling fireworks, but also, the setting-off of these fireworks is synchronized to music. Besides, these also provide an opportunity for a nighttime picnic. 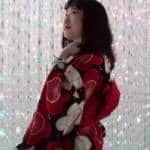 Try wearing a yukata while you’re at it, to make your experience memorable! Celebrate summer with a lot of infectious enthusiasm by checking out these dance festival! Like the fireworks festivals, there are also plenty of them. Not all of them are traditional dances, and some aren’t even dedicated to Japanese dances, but we suppose that that’s a testament to globalization right there! Many of these dance festivals are contests in which teams from all over the country try to outdo one another with their dance moves and costumes, so you can be sure that you’ll be getting a lot of entertainment value from their performances. 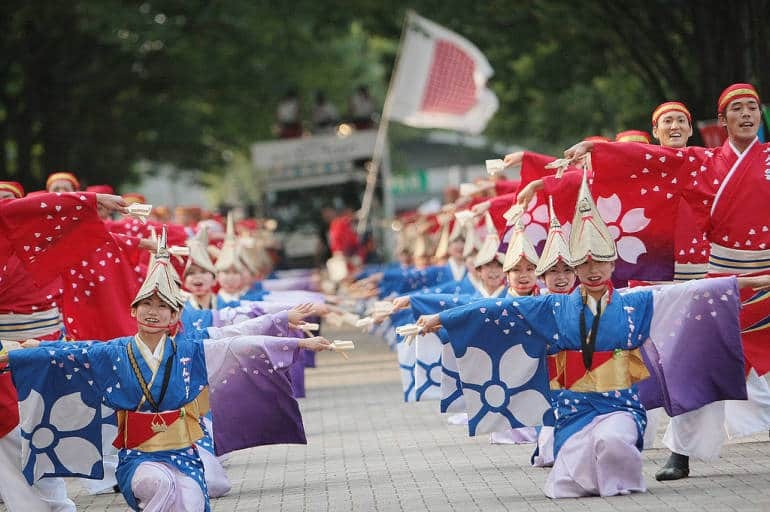 On July 25th, from 12:00-8:00 pm, near the east and west exits, Shinjuku has the Eisa Matsuri, during which dancers perform Okinawa’s traditional dance, set to the beat of taiko. August has more in store, with the 29th and 30th being particularly busy weekends. 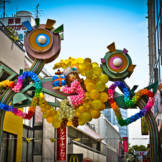 On the 29th, you can momentarily feel like you’re attending a Brazilian street festival with the Asakusa Samba Carnival. Next, from the 29th to 30th, Harajuku and Omotesando go traditional with the Harajuku Omotesando Genki Matsuri Super Yosakoi, a celebration of the very energetic yosakoi, a dance that is characterized by the use of clappers. On the same weekend is the Koenji Awa Odori, which takes place in Koenji, a few stations away from Shinjuku on the Chuo Line, from 5:00 pm-8:00 pm. We haven’t even gotten to the Bon Odori yet! The Bon Odori, or Bon Dance, is a dance performed during Obon, a time in mid-August that is meant to honor the dead. The dances are meant to welcome the dead, who are said to visit the living in August. The type of dance and the music set to it varies from region to region. (The Awa Odori is one example of a Bon Odori.) Typically, a Bon Odori involves dancing in a circle around a tower-like structure called a yagura. 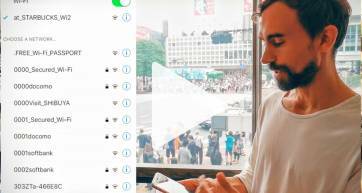 In Tokyo, Kichijoji has a Bon celebration from August 1-2, Ryogoku has one on August 1, Ikegami Honmonji near Ikegami Station has a large-scale one from August 4-5, and even Roppongi Hills has one from August 21-23. Now this is a long festival! 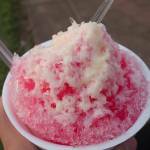 Held in Ueno Park, the Ueno Summer Festival offers something different every day. Its web page doesn’t mention any details, but perhaps the element of surprise is part of the appeal. In previous years, the festival has had activities and events such as toro nagashi, or a ceremony of paper lanterns being floated down Shinobazu Pond; an ice sculpture festival; mini-concerts; an open market; and more. 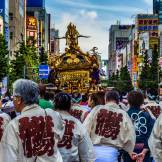 The festival’s highlight is the Ueno Summer Festival Parade on the 18th, which will be held on Chuo Dori and will involve bands and dances. 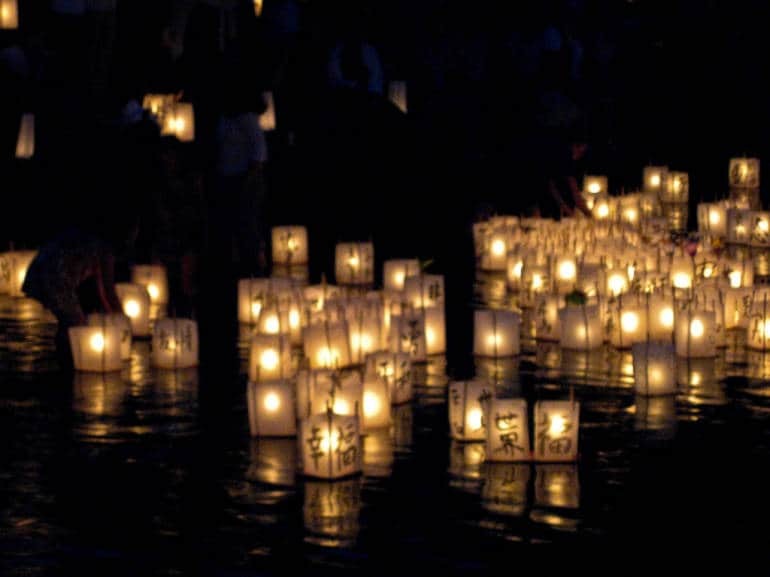 Taking place in Sumida Park from 6:45 pm-8:00 pm, this solemnly beautiful night festival sees paper lanterns being floated down the Sumida River. Since this is an Obon festival, this gesture was traditionally meant to honor the deceased, but for Asakusa’s Toro Nagashi, participants are encouraged to make wishes as they float their lanterns down the river. You can also buy a lantern of your own for 1,500 yen. This festival is held once every 3 years, so don’t miss it this year or you’ll have to wait a bit for the next one. Going all the way back to 1642, the Fukagawa Hachiman Fesitval is considered one of Edo’s (the ancient name for Tokyo) 3 great festivals. 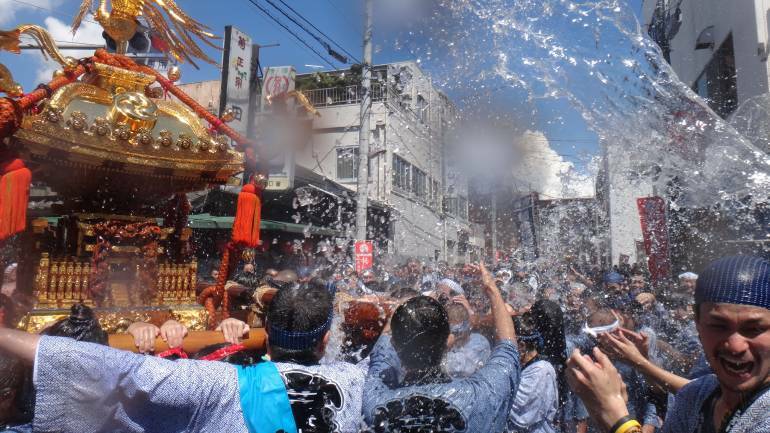 Held at Tomioka Hachimangu, a shrine near Monzen-Nakacho Station, on the 16th, it’s a very wet festival that involves a procession of mikoshi (portable shrines) and splashing the performers and mikoshi carriers with water. The water is believed to have purifying purposes, but besides that, it’s a way to cool off and beat the summer heat! There are also smaller processions and events in the days leading to this festival (specifically, on the 13th-15th), but the 16th is when the action is.